The Born Identity: Ten wrestlers who drastically switched gimmicks. 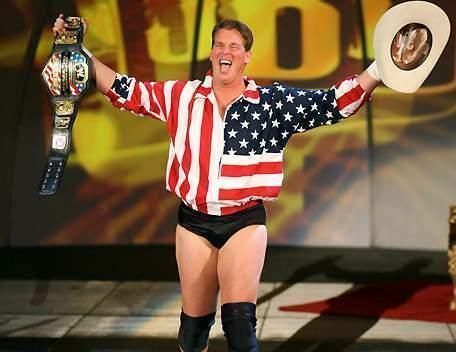 JBL wrestled under several different names and gimmicks before striking gold. In the world of professional wrestling, you can never say with certainty what the crowd will react to. WWE certainly had no idea Stone Cold Steve Austin--a rulebreaker who 'really didn't give a damn' what the fans thought--to be cheered so enthusiastically by the capacity crowds, for example. But Austin himself didn't start off his career as the Texas Rattlesnake. It can take years for a wrestler to truly develop their persona and resonate with the fans, but sometimes a big change has to be made. Here are ten wrestlers who drastically changed their gimmicks for the better, and met with great success. Ray Traylor had several gimmicks in his career, but none more iconic than the Big Boss Man. Ray Traylor was a rarity in wrestling, a three hundred pound man with cat-like agility and speed. He began his career wrestling under his real name, but quickly adopted the persona of Big Bubba Rogers. Big Bubba was a hard-hitting southern gentleman who also had impeccable taste in clothing. 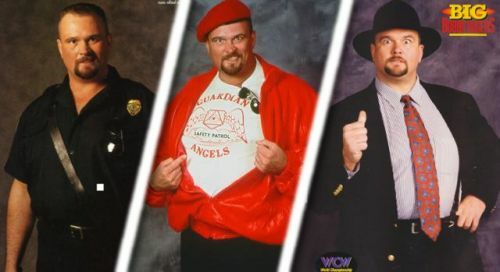 The Rogers gimmick helped get him over, and he even won the UWF Championship, but it wasn't until he became the Big Boss Man that his career truly exploded. Big Boss Man was a former prison guard who was perhaps wrestling's worst bully. It wasn't enough for him to beat his opponent; He had to handcuff them to the ring ropes and bludgeon them with his nightstick. Big Boss Man's greatest moment was probably when he challenged WWE champion Hulk Hogan in a steel cage, a match which is still talked about today. Though Traylor would try other gimmicks after Boss Man, such as the Guardian Angel and Big Bubba again, he would never be as successful using those personas. When he returned to the WWE after his WCW stint, it was as Big Boss Man. Ray Traylor passed away, but wrestling fans will never forget his talent and charisma.